“Mihai Viteazul” National Intelligence Academy (MVNIA) is a key component of the Romanian Intelligence Service. Therefore, we approach the intelligence activity in terms of educating and training future and present intelligence officers, as well as in terms of research and thorough knowledge in the field of intelligence and security. We overcome barriers and shape characters. Our students benefit of both academic training and personal development. While education in fields supporting intelligence activities – technical, logistics or administrative – can be ensured by other training units, the role of selecting and training future intelligence analysts and case officers goes exclusively to the Academy. Any high school graduate is welcome to attend one of the two bachelor’s degree programmes Security and Intelligence Studies and Psychology – Intelligence if they want to become an intelligence analyst or a case officer. Those who have a bachelor’s degree have the opportunity of attending the master’s degree programmes Intelligence Analysis or Intelligence and National Security, organized by “Mihai Viteazul” National Intelligence Academy. Our university is open to a larger public, as well, through a wide-range of programmes. These include research master’s, doctoral, and postgraduate programmes, designed for the members of the Romanian intelligence and national security community as well as for all those interested in deepening their understanding of national security. Last but not least, the Academy provides constant training programmes for SRI staff, in different areas and lines of activity. Sociologist Dr. Septimiu Chelcea (1994 – 1999) – the educational strategy integrated new forms of training that focused on the applicability of knowledge and an effective adjustment to challenges facing the Romanian society of that time. Professor Dr. Constantin Romanoschi (1999 – 2002) – the gained experience, the development of the curriculum, and SRI operational requirements came up with a strategic reshape of the programme syllabus at the National Intelligence Institute (INI), which later turned into the National Intelligence Academy (ANI) during Dr. Romanoschi’s tenure. Professor Dr. Ioan Chiș (2003 – 2005) and Professor Dr. Traian Liteanu (2005 – 2007) implemented the principles that support the development of a dynamic and coherent academia. Professor Dr. Gheorghe-Teodoru Ştefan (2007 – 2013) – the Academy consolidated the training programmes dedicated to future intelligence officers. 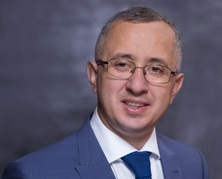 Associate Professor Dr. Niculae IANCU (2013 – 2017) – the Academy consolidated its position as intelligence knowledge nucleus, at a national and international level. The rector of “Mihai Viteazul” National Intelligence Academy is an alumni of Babeș-Bolyai University of Cluj-Napoca where he graduated as valedictorian from the Faculty of History and Philosophy, in 1994. After receiving his BA, he continued his studies between 1994 and 1995 following the Contemporary History and International Relations in-depth programme of the same faculty. Between 1995-1999, he was enrolled at the European Institute of The University of Geneva, and in 2003 he got his PhD in International Relations after defending his thesis entitled ”State, national majority and minority in Romania (1919-1930). The case of Hungarians and Germans from Transilvania” at Babeș-Bolyai University. Throughout his career, he has coordinated and has been involved in various teaching activities, collaborating with prestigious universities both from Romania and abroad. He has been full professor at Babeș-Bolyai University since 2008, associate professor at Alexandru Ioan Cuza University of Iași and Nicolae Bălcescu Land Forces Academy of Sibiu, as well as at ”Mihai Viteazul” National Intelligence Academy (2016-2017). He has also been a visiting professor at International University, Institute for European Studies, A Centre for Excellency-Gorizia, Trieste (Italy), Roma Tre University (Italy), Louvain-la-Neuve University (Belgium), Le Largotec-Universite Paris Est Creteil Val de Marne, Paris (France). He has held various management and administrative positions at Babeș-Bolyai University of Cluj-Napoca, among which the Head of the Department of International Studies and Contemporary History of The Faculty of History and Philosophy, as well as the Head of ”Altiero Spinelli” Center for the study of European Governance. He was also the president of the Social Sciences Commission of the Romanian Agency for Quality Assurance in Higher Education (ARACIS) and vice president of the Romanian Association of International Relations and European Studies. He is a member of the National Council for Titles, Diplomas and University Certifications Attestation and vice president of the Commission of Sociology, Political and Administrative Sciences. He is the author of numerous books, articles and scientific papers in the field of International Relations, Security Studies, National and ethnic minorities in international relations, Security policies, European and international governance. He is also a member of various editorial boards of scientific journals. Professor Ivan’s academic activitiy has been rewarded through various awards and distinctions received throughout his career; Dimitrie Gusti Award oferred by the Romanian Academy in 2013, the Award for Scientific Research ofered by Babes-Bolyai University in 2011, a Diploma of Excellence offered by ARACIS in 2008 are but a few examples of such awards. 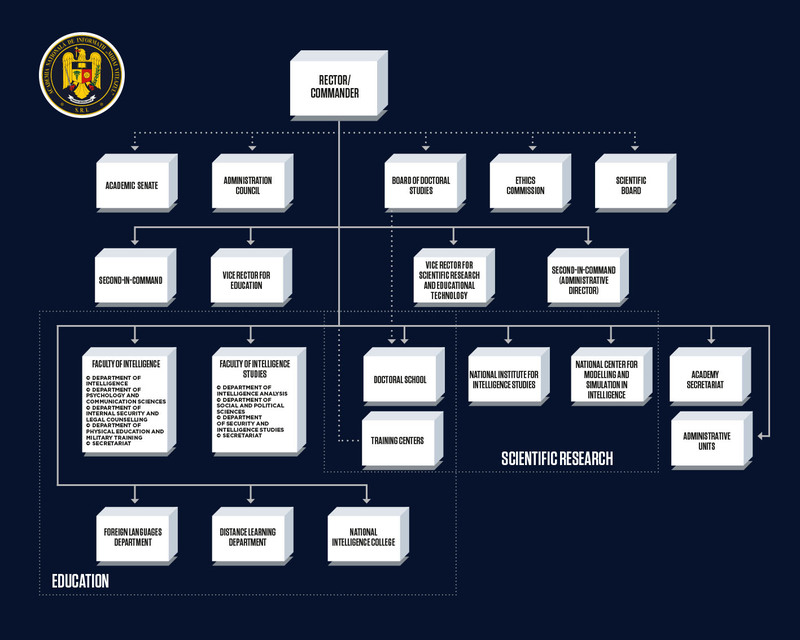 The prime mission of the ”Mihai Viteazul” National Intelligence Academy is to provide basic, professional and life-long training for intelligence officers. With more than 25 years of experience behind, the Academy is the place where intelligence professionals are brought up. At the same time, it is a nucleus focused on developing research programs meant to foster, within the Romanian society, an essence of resilience and security awareness. I believe that the human resource of a modern intelligence service must be well educated and, at the same time, flexible and adaptable to the shifts in the security environment. Having closely looked at the path the Academy has walked along the years, it raised my respectful attention. In time, through numerous debates with professors of the Superior Institute for Intelligence and by meeting alumni of the National Intelligence Institute, I have come to know the complexity of the Academy’s activity. While occupying a position of evaluator within the Romanian Agency for Quality Assurance in Higher Education, I have become acquainted with the evolution of “Mihai Viteazul” National Intelligence Academy, which led to its awarding with a “high degree of trust” atribute. I know that it has not been built over night and that the Academy today represents the combined efforts of successive generations of professors, students and partners. To all of them, I extend my sincere gratitude! During my mandate, the development of the university education will be placed under the patronage of professional ethics and high academic standards. Only by closely following these rules, will we be able to build together a modern and transparent entity. The years spent in the academic environment have convinced me that the practitioners’ experience represents a genuine and practical support for any type of advanced scientific research. This is one of the reasons why the Academy’s scientific research activity will be mainly focused on conceptualizing innovative approaches with practical value for the national intelligence community. I am constantly preoccupied with the developments of the Romanian society, especially those that have generated the necessity for openness and knowledge-sharing. Thus, the Academy is set to merge a transparent processe of communication with the rigors imposed by the special status of a military higher education institution. With passion and perseverance, I have confidence that we will strengthen a Romanian intelligence school and we shall be able to train officers who will make proud both us and the citizens of Romania.